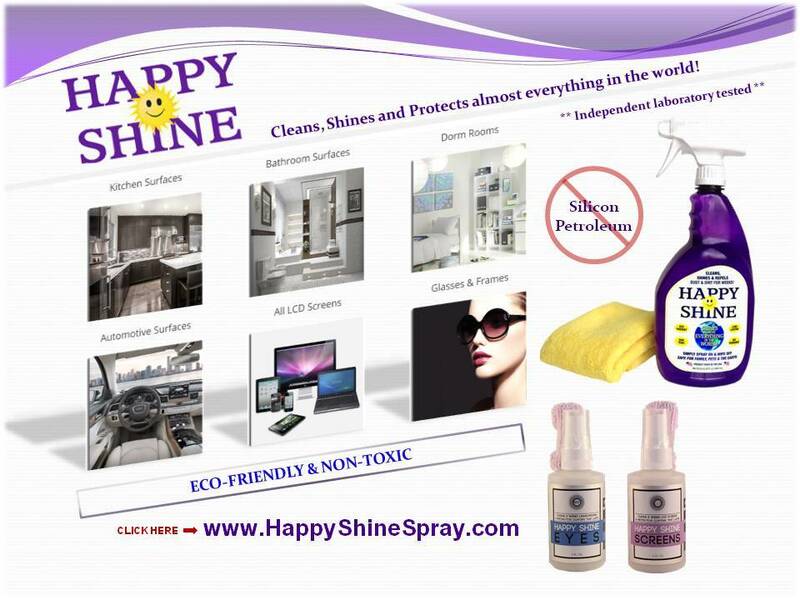 A “New Science” in cleaning, polishing and protecting just about anything in the home & garage. 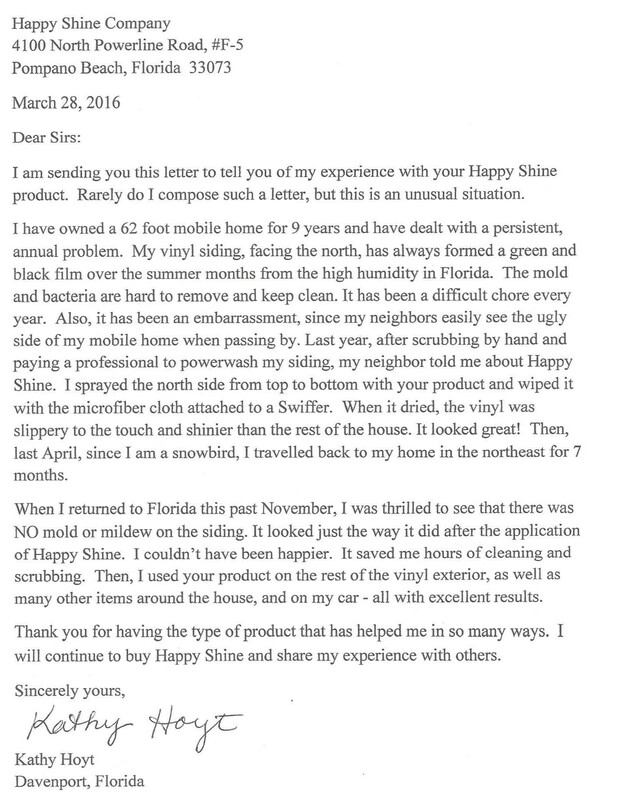 Happy Shine is an effective non-toxic, environmentally-friendly, long lasting product that cleans, shines and repels dust and dirt on appliances, mirrors, countertops, windows, stainless steel, cars, boats, planes and much more. Safe for family, pets & the earth. This is the one product that does it all! A little spray goes a long way! Ready to use 32 oz spray bottle, includes a jumbo 16″ x 16″ high quality microfiber towel. 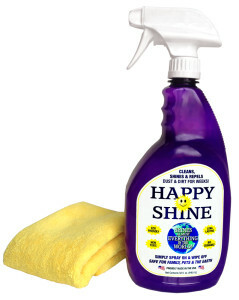 Use this to clean, protect, shine and repel dust and dirt for weeks. Simply spray on & wipe off. 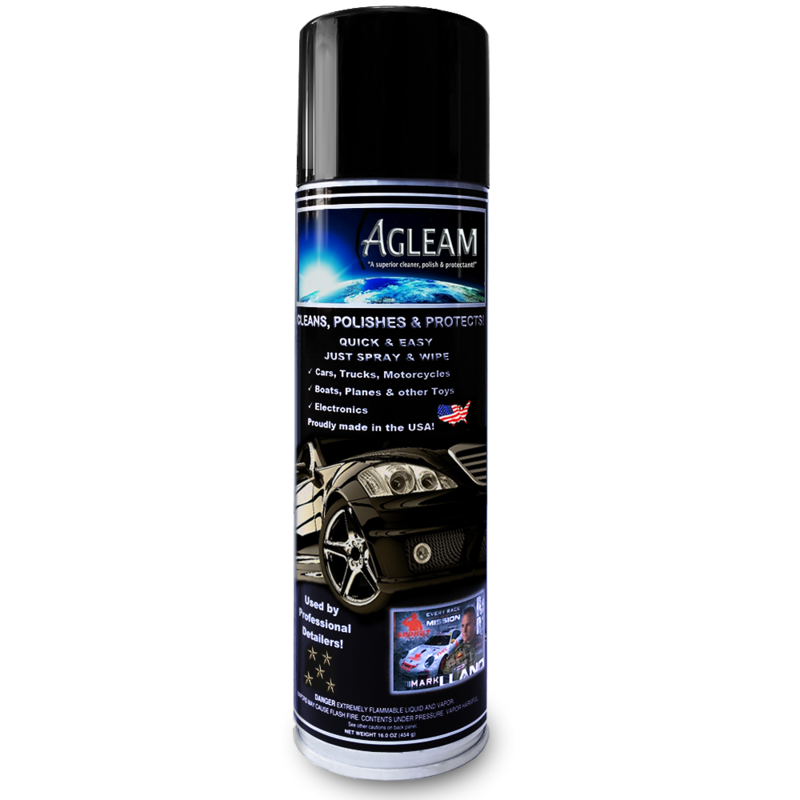 Agleam is an effective non-toxic, environmentally-friendly, long lasting product that cleans, shines and repels dust and dirt on appliances, mirrors, countertops, windows, stainless steel, cars, boats, planes and much more. Ready to use 1 gallon jug. 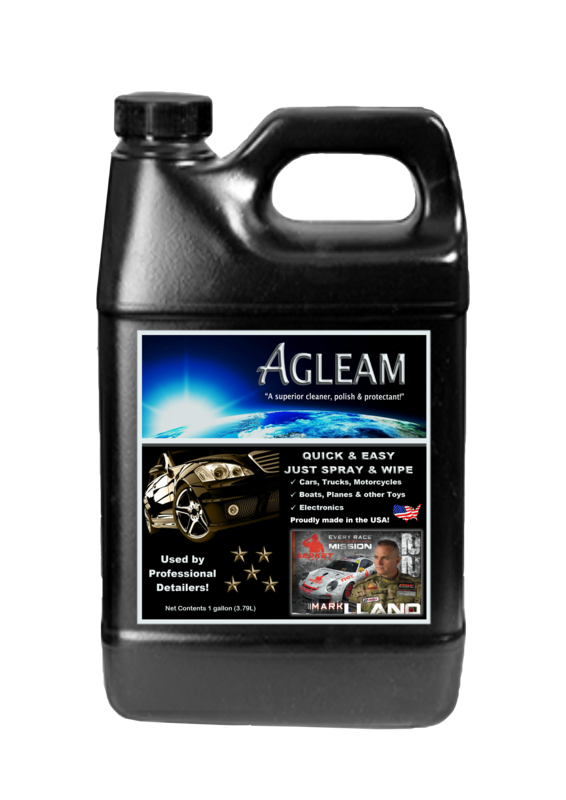 Agleam is an effective non-toxic, environmentally-friendly, long lasting product that cleans, shines and repels dust and dirt on appliances, mirrors, countertops, windows, stainless steel, cars, boats, planes and much more. Now available in easy to use foam spray! Ready to use 16oz Foam Spray. 1. Fold a clean microfiber towel into 1/4 size. 2. Spray a small amount onto one side of the towel and a small amount onto surface to be cleaned and shined. 3. Gently rub onto surface with dampened side of the towel. 4. Quickly wipe same area with the clean dry side of the towel. 5. Replace towel if too soiled or just soak dirty towel in a soapy solution, rinse and dry for use.